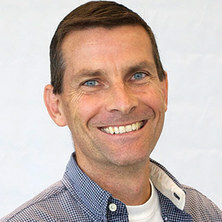 Peter Stratton obtained his PhD from the University of Queensland in Australia in 2002. After several years working in the software industry in Australia and the USA, in early 2007 he joined the Thinking Systems project at UQ. His role was to understand and construct models of the computational principles that are implemented by nervous systems, and apply these models to complex engineering problems in robotics and information processing. In late 2011 he joined the Queensland Brain Institute, where he has been analysing micro-electrode recording data from patients undergoing electrode implantation for deep brain stimulation for the treatment of brain disorders. The primary goals of these analyses are to characterise human brain activity and to assist in the targeting of the electrodes for optimal clinical outcome. He also provides custom-written computer software and analysis tools for other experimental data collected by the lab. Career highlights include a journal paper published in Nature Neuroscience on Deep Brain Stimulation, a paper published in PLoS ONE on a digital wireless brain recording system, a paper published in NeuroImage on how the brain may generate complex activity for complex computations, several papers on using artificial neural networks to control robots, selection to attend the Neuromorphic Engineering Workshop (Australia), and invited talks as a guest speaker to the Salk Institute (USA), the International Seizure Prediction Workshop (Germany), and Brain Corporation (USA). Broad principles underlying complex brain function remain elusive and unknown. Glimpses have been obtained at the molecular, synaptic, cellular, network, systems and behavioural levels. However, understanding of how the brain actually represents and transforms information, or initiates and controls behaviour for example, is uncertain and largely superficial, particularly in any brain region beyond the sensorimotor periphery. One of my main aims is to understand the computational principles which are supported by brain activity. When a neuron spikes, what does it represent? This is not a simple question, since a single spike generated by a single neuron in isolation is clearly meaningless; only when the neuron is embedded in a network does each spike gain meaning with relation to the times of other spikes and, ultimately, with respect to the presence and timing of environmental events within which the brain is situated. How do we tease apart the complex interactions of brain and environment at multiple levels of representation, from cellular to systems to behaviour? Approaches are numerous and none are free of inherent limitations, but a common method is to electrically record activity from one or several small brain regions during behaviour. This method provides highly accurate timing information, resolves down to the cellular level (through detection and identification of spikes from single neurons) and also the network level (local field potentials), and can link activity at these levels to environmental and behavioural events. These correlations give small but significant clues as to how the brain represents information and controls behaviour. The collection and analysis of this data presents many challenges, but discoveries made have the potential for multiple substantial benefits: primarily, revelations of brain function and dysfunction leading to new treatments and cures for brain trauma and disease. Additionally, improved understanding of brain function could lead to the construction of novel, engineered information-processing and robotic systems to assist and augment human capabilities. Stratton, Peter Gregory (2001). A situated cortical model exhibiting attention, learning ane memory : implications for cognition PhD Thesis, School of Information Technology and Electrical Engineering, The University of Queensland.